Central to the Cork St. Patrick's Festival is the St. Patrick's Day Parade. The most vibrant and colourful display to be seen on the streets of our city, Cork's parade features up to 3,000 members of communities from all walks of life across the city - sporting groups to dance schools, new communities to our long-established brass bands, and annual special guests from around the world. 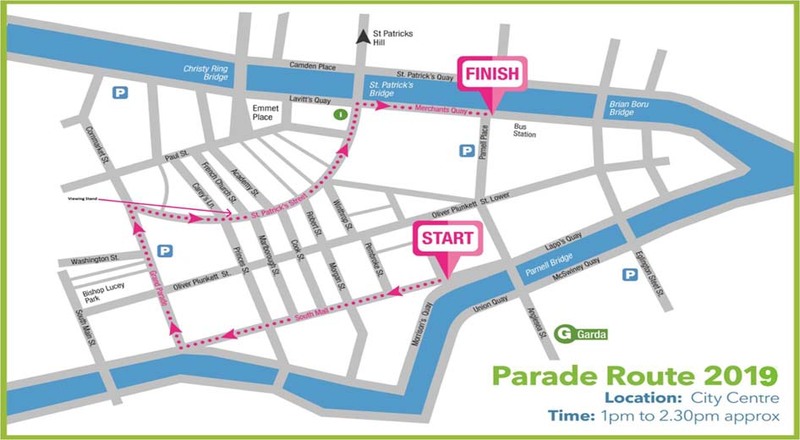 The parade runs from the South Mall to the Grand Parade, along St. Patrick’s Street and finishes at Merchant’s Quay.